Sean Smalley is a LPL Financial Advisor dedicated to helping clients manage personal wealth and protect their legacy for future generations. Sean believes that taking the time to understand every client’s unique goals and aspirations is critical to success, and every client deserves nothing less. Sean has worked in the financial services industry since 1998. He is a Investment Advisor Representative in the state of New Hampshire (IAR). He holds the Securities Series 7 and 66 registrations through LPL Financial. 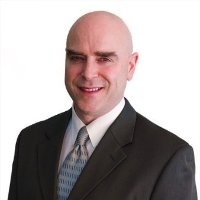 Sean also holds his NH & MA insurance license covering life, long term care, & disability. Sean graduated from Saint Mary’s University in Halifax, Nova Scotia, Canada in 1995. After returning home to New Hampshire, he traveled to San Francisco, CA where he began his career with Charles Schwab & Co. in 1998. He returned to New Hampshire in 2000 to work directly with clients in the Manchester office of Charles Schwab. In Manchester, Sean cultivated relationships with clients and managed a practice of more than $400 million. During his tenure at Charles Schwab, Sean helped a diverse client base plan for and navigate through all phases of retirement. He also structured portfolios for family trusts and endowments for the purpose of legacy planning and continuity. Sean believes that a thorough understanding of risk management is fundamental to both pursuits. Sean joined Flatiron Financial Group in 2014. At Flatiron, he’s been able to focus exclusively on providing highly personalized investment planning and management services to families and small businesses. Sean was raised in New Hampshire from a young age. He and his wife Jennifer have lived in Concord, NH since 2002. They are the proud parents of four children. When they’re not on the basketball court or the football field, you might find them enjoying New Hampshire’s mountains or coastline.